As some of you may know, I'm in love with the Two Tone Lip Bar which you can read all about on this post. 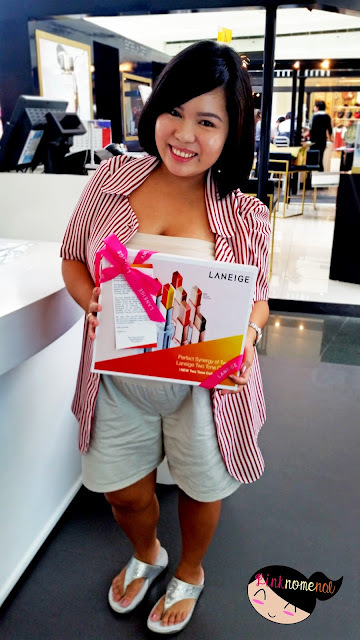 That's why my happiness couldn't be contained as I posed for the camera carrying my own K-Beauty box! No doubt the outside of the box is sooo cute but lo behold, my heart... the inside is even more fabulous! I was literally shaking while unboxing this gift in front of the Laneige ladies. I think they were able to feel my overwhelming joy upon laying my eyes on these beauties. 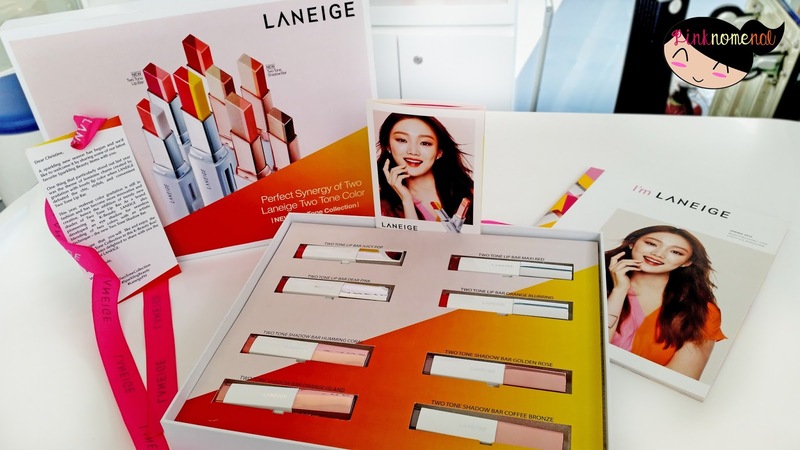 Imagine all eight of Laneige's new products are in my hands!!! But enough of my raves, let me share with you a brief background about this season's K-Beauty box. As we all know, Korea's enjoying the Spring season and a lot of brands have come out with their own version of products that cater to the latest trend. 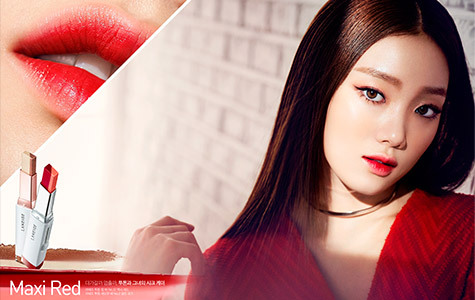 Laneige, being a pioneer in K-Beauty, wow once again with this eye-catching and truly sparkling line, the upgraded Two Tone Collection. 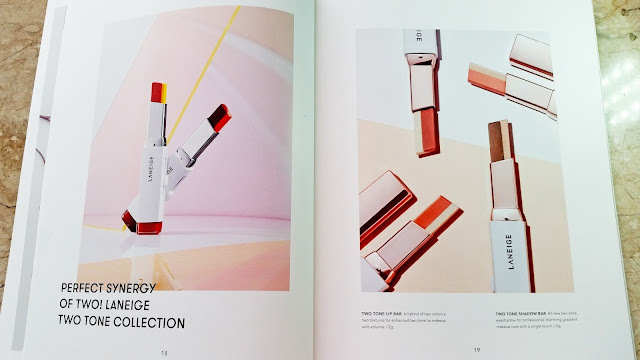 Being a HUGE fan of the previous Two Tone Lip Bar Collection (revisit post HERE), I was super ecstatic when words first came out about the launch of this upgraded collection. The hype grew even more when the precious new shades Juicy Pop and Dear Pink made their debut on the hit Korean drama series, Descendants of the Sun. 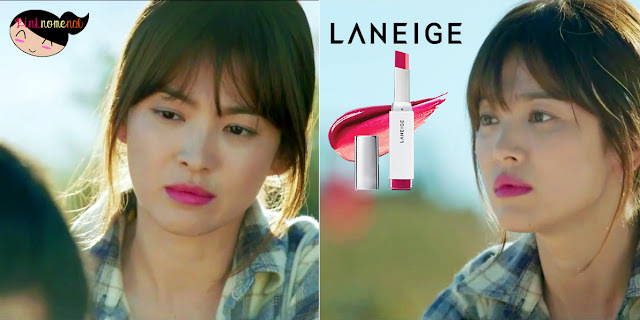 Juicy Pop, the hero shade of the new Laneige Two Tone Lip Bar was first seen on K-Drama "Descendants of the Sun"
Uber gorgeous Korean actress, Song Hye Kyo's character, Dr. Kang Mo Yeon, was seen applying the Juicy Pop shade of Laneige Two Tone Lip Bar on her way to meet Song Joong Ki's character, the hunky Captain Yoo Shi Jin while the Dear Pink Two Tone Lip Bar was used as a marker during one of the giddiest scenes in the drama, the land mine scene of Kang Mo Yeon and Big Boss. 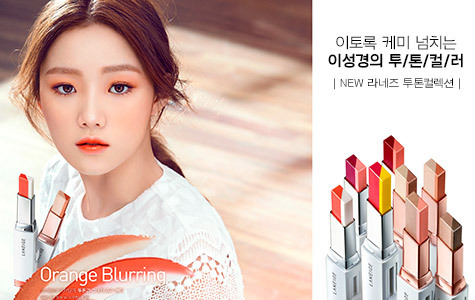 As the collection was launched, a series of pretty teaser photos were released on Laneige's official website that showed the vibrant shades of the new Two Tone Lip Bar and Shadow Bar. Among the teasers, the shades that struck me the most were Juicy Pop and Dear Pink. I love how vibrant the colors are! 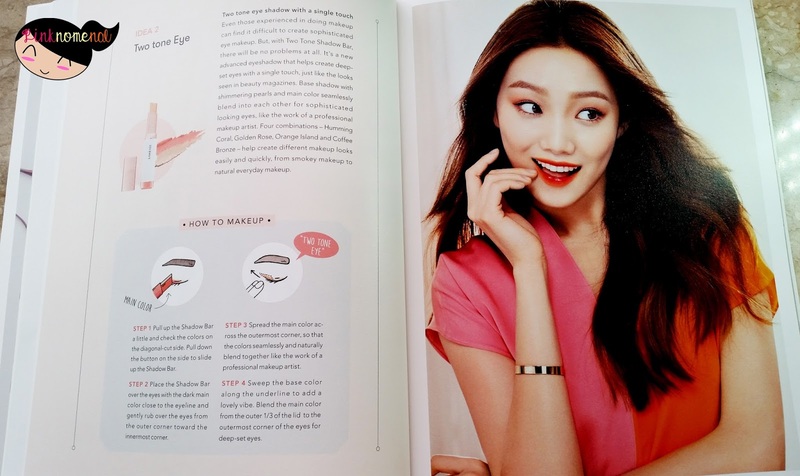 Laneige also shared how easy it is to achieve the perfect gradient lips as seen on Korean actresses and KPOP idols. 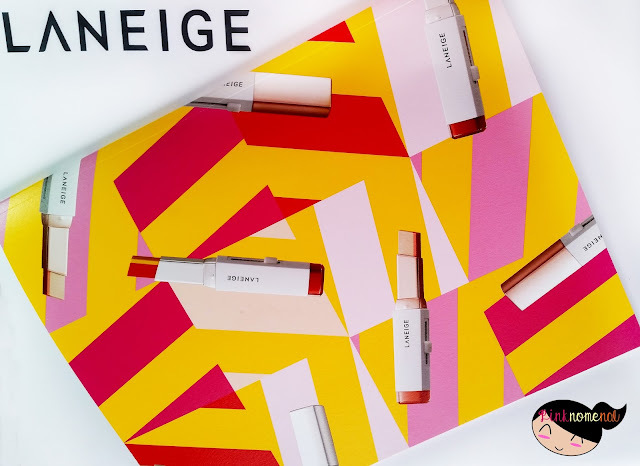 Part of the K-Beauty Box is a lovely magazine that let me learn more about Laneige's hero collection this season. Let me share with you some snippets from the I'M LANEIGE Spring 2016 Lifestyle Magazine. 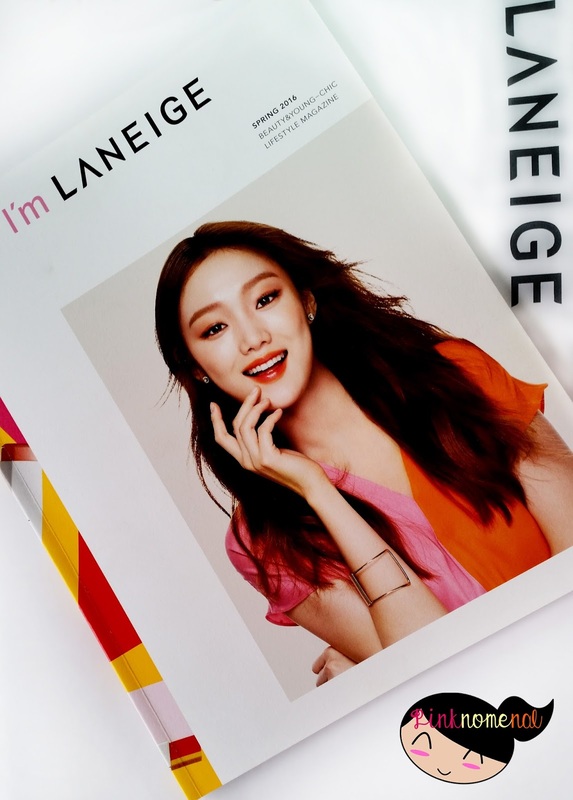 The front cover features Laneige's newest Brand Ambassador, YG Model, Lee Sung Kyung while the back cover is a lovely spread of the Two Tone Collection. 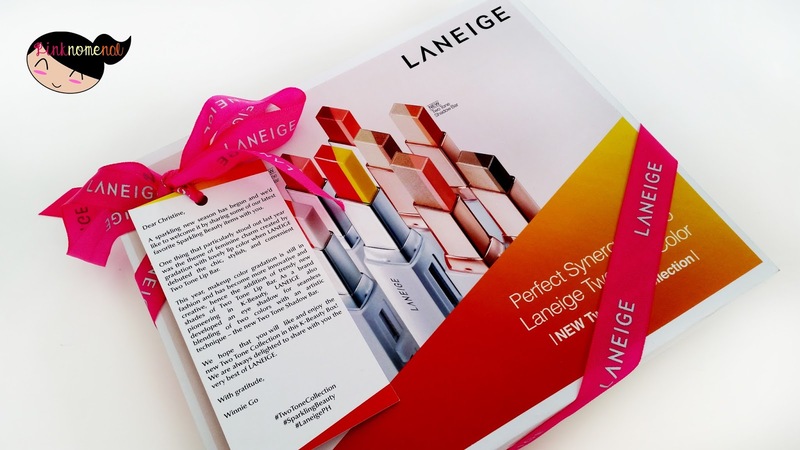 Perfect Synergy of Two - that's the Laneige Two Tone Collection mantra which I kind of agree with. The two shades in each bar complements one another, giving off a beautiful, natural gradient. Perfect Synergy of Two - indeed it is! 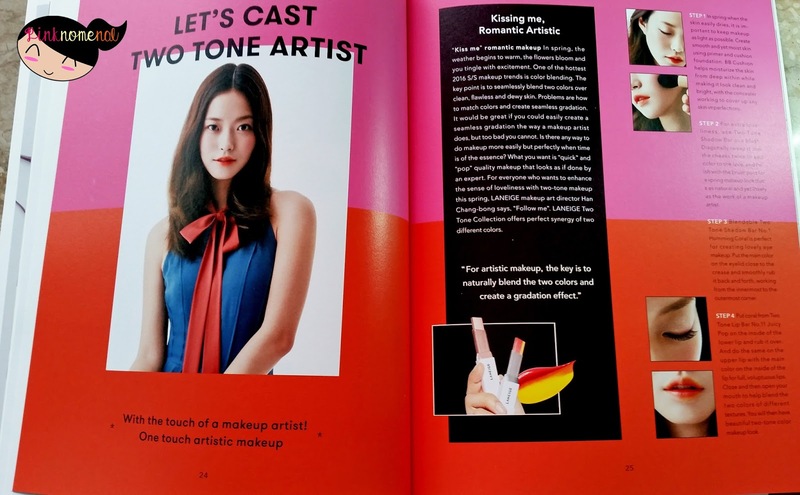 Now it's easier to create the K-Beauty trend like a professional make-up artist! 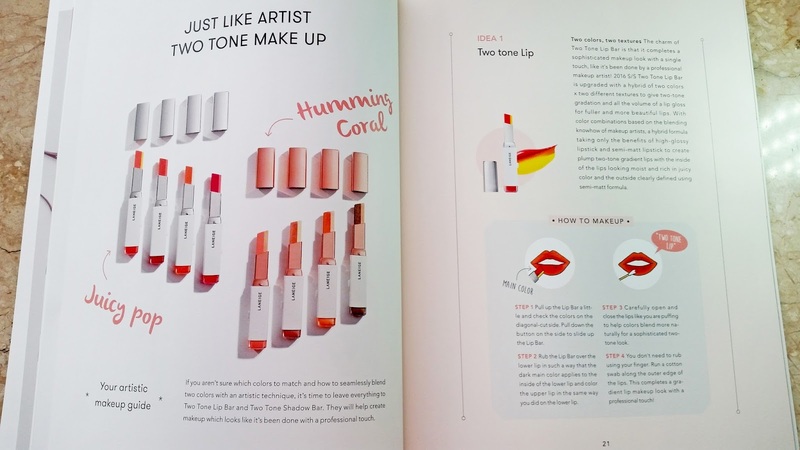 There's even a feature on how to score different looks using the Two Tone Collection. Over-all, the Spring 2016 K-Beauty Box not only got my heart racing, it pumped me even more to start using my Two Tone Collection! There are already a lot of possibilities I can do and play around with using these amazing beauty tools. Wow! Looks like a good beauty haul! I haven't tried this brand. Will have to give it a try soon! Thanks for sharing sis! 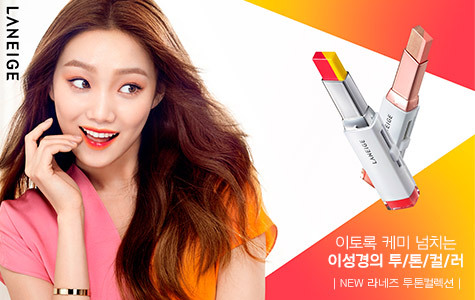 Laneige is really popular, even amongst Koreans! The lip glosses are beautiful! Btw thanks for sharing how to put our lipsticks/lip glosses properly. I learned a thing or two from your post haha :) Thanks for sharing! 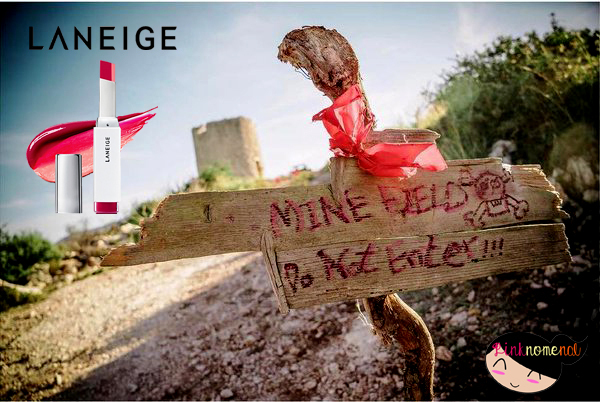 Woud love to try Laneige! 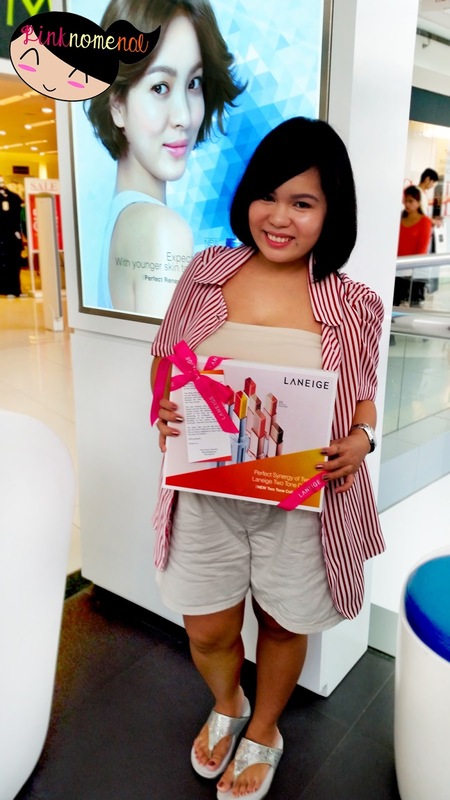 Having a Korean/chinese/Japanese look, I think Laneige would fit me. I am amazed by products like this. I'd love to try this two-toned lip sticks but I'm not sure if I can pull it off. Haha! This is the first time I've heard and seen a two toned lipstick. Amazing. I have tried Laneige's lip gloss and it's really great. smells nice too :) Hope I could try this one also. Love the gradient lips! I've never heard of that so definitely checking it out. Wow, never heard of a two tone lipstick before pero it looks promising. Please post a photo of you using it too!hihi! Hye Kyo's signature lippies!! I've wanted one ever since I watched Descendants of the Sun hahaha. I'm not even sure I could pull it off, but why not! You are one lucky girl to have all of those! I'd love to try them too. Having two tones on the lips is so interesting. The 2 tone lipstick looks fab! Definitely gives you that extra oomph!